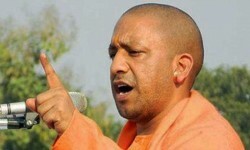 The second phase of the Master Plan 2031 of the Yamuna Expressway Industrial Development Authority got approval from the Yogi Adityanath-led Uttar Pradesh government. According to the plan, the YEIDA will have two new urban townships in its area, which will comprise a dedicated industrial area and a heritage city to promote tourism. 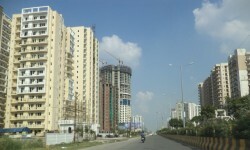 Meanwhile, Noida and Greater Noida authorities will not take up any new infrastructure project due to fund shortage. Two proposed Metro projects in the twin cities have been put on hold for the same reason. Real estate major DLF has sold properties worth Rs 200 crore in its luxury housing project at Gurugram despite a slowdown in the residential segment. The company is developing about 750 apartments in its nine-acre luxury housing project, The Crest, launched in 2013. The company expects to complete the project this year. Meanwhile, DLF Cybercity has started construction activities for Phase-III expansion at the IT-SEZ in Chennai with investments attracting Rs 500 crore. A consortium of high-net-worth individuals, including Nadir Godrej of Godrej Group and Anand Piramal of Piramal Group, has invested Rs 11 crore in real estate company Isprava. The company develops high-end holiday homes in places such as Goa and Nilgiris.